Promotional Gifts : Using Polydi™ As Giveaways at Trade Shows and more. Giveaways are great tools for capturing peoples attention. It is hard to find a marketing technique that beats promotional products for getting your targeted message in the hands of your audience. Corporate logos can be added to Polydi™ for marketing purposes. If you are looking for a fun toy to give away at trade shows or other special events, we can manufacture Polydi™ for you with your own company logo (minimum order quantities required). We can provide you with a relatively inexpensive promo item that you can offer to customers that visit your office showroom, trade exhibition booth, etc. The trade show giveaways you select to give out on the trade show floor can really make or break your event. Your promotional toys are most likely going to be the first thing that attendees see. The right trade show giveaways can draw welcomed attention to your booth. 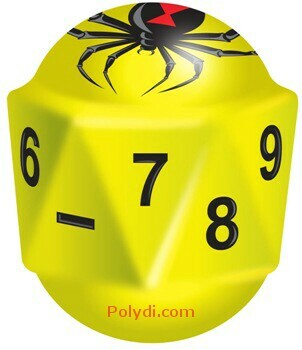 Polydi™ make fun promotional gifts for any giveaway opportunity. Promotional merchandise, promotional items, promotional products, promotional gifts, or advertising gifts, sometimes nicknamed swag or schwag, are articles of merchandise (often branded with a logo) used in marketing and communication programs. They are given away to promote a company, corporate image, brand, or event. These items are usually imprinted with a company's name, logo or slogan, and given away at trade shows, conferences, and as part of guerrilla marketing campaigns. Contact us for more details. Distributors welcome. * Minimum Requirements Apply. Graphic & text size limitations apply. Set up fees may apply. We maintain the right to decline projects at our own discretion. This includes declining graphics, declining text, or declining your project entirely. Regardless of specific marketing objectives, the most effective use of promotional products is among those companies that can specifically identify and reach their predetermined target audience. This ability includes internal audiences, such as inside employees and sales reps, and external audiences, such as prospects and customers. 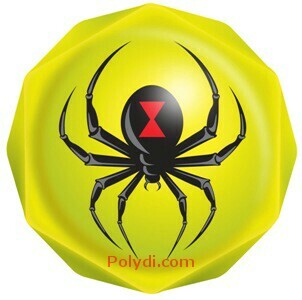 If you want your target audience to be "happy", give them a Polydi™ with your company logo. Polydi™ are excellent for school fundraisers as well.